Hello! I am starting this post with a huge thank you!! Jamie and I are incredibly humbled by, and grateful for the beautiful messages we have received since opening up about our journeys through this pelvic health blog series. Amongst your notes, we have found joy in knowing that you are becoming more aware of the changes occurring within your body. Many of you have even sought assessment because of our journey and we could not be more proud of you for doing so. Truly! If you have not read our previous posts in the series, please check out Jamie’s first and second installments as we as my first that precedes this post! Also, I wanted to remind all of you that there are so many incredible women’s health physiotherapists in Edmonton and surrounding area. Jamie and I are both seeing Jillian Palmer, from Bounce Back Physical Therapy, because we had started to develop a professional relationship with her through referring clients. We appreciated her approach, and her proximity to our homes was perfect! We encourage you to find a Physical Therapist with whom you can connect and feel comfortable with. In order to help you find a physiotherapist that is right for you, we have compiled a list of many of the wonderful pelvic health specialists in Edmonton and surrounding area here. In addition, there are links to the Albertan and Canadian Physical Therapists Association pages where you can search for a Women’s Health physical Therapist in your area. So, now let’s dig back into my journey. I was essentially symptom free, other than some nagging “tightness” with the excess scar tissue building around my cesarean incision. This tightness would bother me more on some days than others and most traditional abdominal (core) exercises were uncomfortable. The more I learn the more there is to learn. I knew by making an appointment with Jillian, that if nothing else, I would learn how to improve outcomes for my Fit Your Life clients, but would likely also learn many things about my own body. I drove to my first appointment nervous and very unsure of what to expect. I made a point of arriving right on time so that I did not need to sit in the waiting room and allow the suspense to build even more. Thankfully, Jillian was also right on time and no waiting occurred! I really enjoyed the initial part of the appointment. We reviewed my pregnancy history, exercise background, and overall physical health. 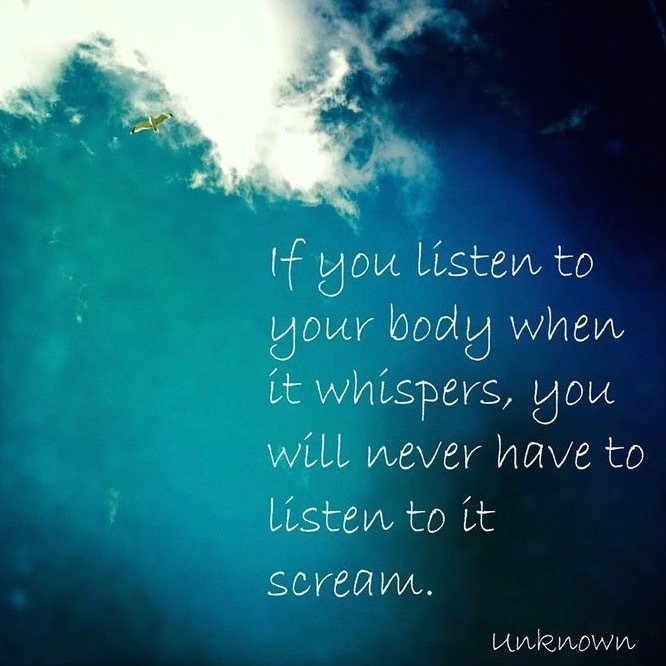 We discussed anything currently occurring in my body and focused in on habits relating to the core and pelvic areas. Through our conversation I realized over the last year, I was paying less attention to my body with two little bodies to look after. I could tell you how often they empty their bowels and bladders and how much water they take in, but I had to really think about the answers for myself. After this portion, we moved into the external physical exam. This is where Jillian assessed my alignment and posture during static standing and while moving through a squat. Having a background in Kinesiology, I knew to some extent the things she was looking for, but I was still interested to learn her observations. She then had me climb up onto the table/bed to assess my linea alba (the connective tissue between the rectus abdominis) through single leg raises. Although I secretly hoped she wouldn’t feel the separation of my abdominal muscles when I crunched up through my upper body, I knew she would. I shyly admitted that I had felt the gap at my belly button and to my pleasant surprise, she was happy that it didn’t continue above or below. Whew! When she asked me to perform a single leg raise, I was able to complete this on both sides, without any doming (where your body tries to push through weakened areas in the linea alba), but my legs did feel quite heavy and I also felt the same tugging or tightness around my incision. THIS was my “magic moment”… Jillian then gently squeezed my rectus abdominis together with her hands and asked me to perform the single leg raises again. They practically floated into the air!!! Whoa. My face lit up. What did this mean? That although my core was strong and functioning even with a small separation, if we were able to close it, I could fire those muscles even more effectively! Although I was on a high from this “magic moment”, I knew the internal exam was coming next. With the Physical Therapist stepping out of the room and me physically and mentally preparing for the unknown, I took a deep breath. She could tell I was nervous and, like Jamie described in her story, I cannot begin to tell you how much I appreciated the knee analogy. She described this assessment just as any other body part. I relaxed a little. To my surprise, this exam was over really quickly. For that I was grateful mainly because that meant there were no startling diagnoses! Jillian left the room for me to dress so that we could discuss all of her observations and create our plan. What filled me with so much excitement and anticipation for the months to come was when she sat down and told me, “You are strong. You would have been completely fine if you never booked an appointment with me, but you are here and now we are going to make you so much stronger!” Sold!! So, what were her findings? What were her recommendations after our initial visit? Oblique (side abdominals) and quadratus lumborum (side low back) stretches and pelvic floor relaxation techniques. These will help my rectus abdominis close by creating space within those muscle groups, as opposed to holding. Actively practice relaxing through my core and pelvic floor during the day. This will help those muscles know how to relax and therefore be able to fire maximally when needed! During walking and exercise, keep my weight overtop of my heels and keep my bum untucked. This will help me also to find neutral posture when carrying the girls and assist my ribs to unflare and come back to neutral. Actively contain (or squeeze up) through my pelvic floor when coughing or sneezing to re-train my body, as that is what those muscles are meant to do (i.e. keep everything contained!). Continue with self-scar massage to break down the scar tissue and which we will address more at the next appointment. I really appreciate that Jillian doesn’t attempt to fix all things at once. I will expand in my next post, as I felt this was a manageable amount of tasks to work on and things to consider as I move through my day. She addresses the most important aspects of re-aligning and strengthening my body and gives new homework at each visit to build upon the last. Driving home, I felt so inspired!! Yes, I had a list of things to work on and by no means was my body perfect, but I felt I had been given tools to effectively and efficiently re-train my body while it was still adjusting postpartum. Back to that “magic moment”! I wish I could re-create that sensation in all of you – to be bluntly shown how strong your body can be! The best part was to achieve a closer connection of my rectus abdominis and to begin to close my belly button separation, all I needed to do was relax! Jillian straight up told me that likely by doing “nothing” it would begin to close on it’s own over time. I truly believe that we can all benefit from a posture and alignment assessment. In our busy days – sitting, standing, carrying, holding, laying, breastfeeding in all positions – our spines take a toll. Even small shifts can make a huge difference in the way you carry your body and finding its optimal alignment. When Jillian said this to me, I felt like I finally had permission to “let go” and relax throughout the day. This has been a game changer for me. Thank you again for following along this journey with me as I share my discoveries and inspirations! In my next installment, I will take you through my daily routine to incorporate my homework as well as my high five moments and accomplishments! Stay tuned for Jamie’s next post where she shares her successes and challenges as she and Jillian Palmer continue to work together to tackle her list of diagnoses. Just wondering....is there anyone in Beaumont that does this type of physio? Hi! The best place to search the specialists in your area is through the Physiotherapy Alberta webpage https://www.physiotherapyalberta.ca/physiotherapists/physiotherapist_listings Make sure to narrow your search using the "women's health" option. There are a few in south Edmonton listed on our list here: http://www.fityourlifefitness.ca/p/pelvic-health-physiotherapists.html Good luck! !